How to make readonly and uncopyable Word files? How to convert Excel to PDF and add watermark on PDF? How to convert Word documents to image? How to protect PowerPoint Presentations? 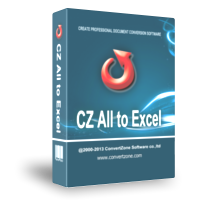 08/09/2016 released CZ All to Text V1.0 Build160809, added command line interface and the text conversion from 20+ file formats (MS office, OpenOffice, PDF, HTML, Image, Audio etc) files. 06/19/2014 released Extract UnityPackage V1.0 build140505, added automatic update function and added multiple languages GUI, now including English, German, simplified Chinese, and traditional Chinese, and fixed folder watch conversion error. Copyright © ConvertZone software™ . All rights reserved.